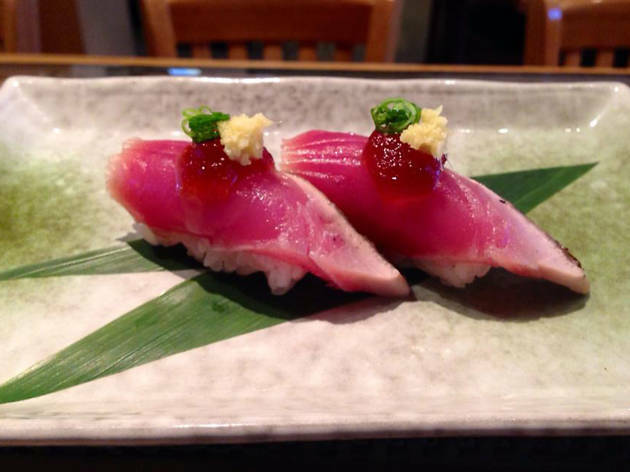 When filtering through the plethora of high-end sushi restaurants around LA, many turn to this acclaimed, Michelin-starred establishment in the Valley for ultra-fresh seafood items like kanpachi sashimi and pearl oysters. Nevermind that it's located in a strip mall—Asanebo is a mecca for exotic, inventive pieces: monkfish with grapefruit drizzle, perhaps, or steamed firefly squid. Sushi is not the main event here, though one bite of the tender Alaskan king crab legs will have you forgetting sushi altogether.